Not actually at night, but it might as well have been. 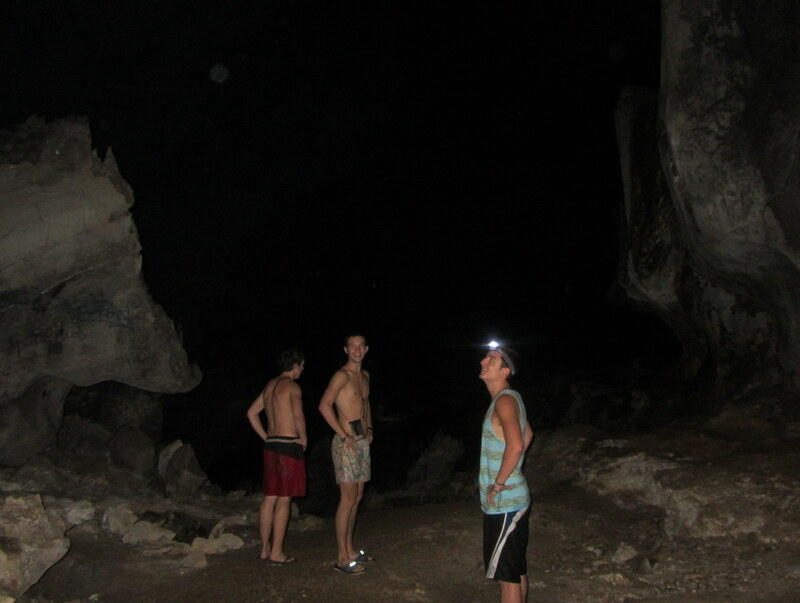 Inside this cave near Vang Vieng was pitch black without our torches. Great fun, but having flip-flops and two torches between four wasn’t exactly the best caving gear. 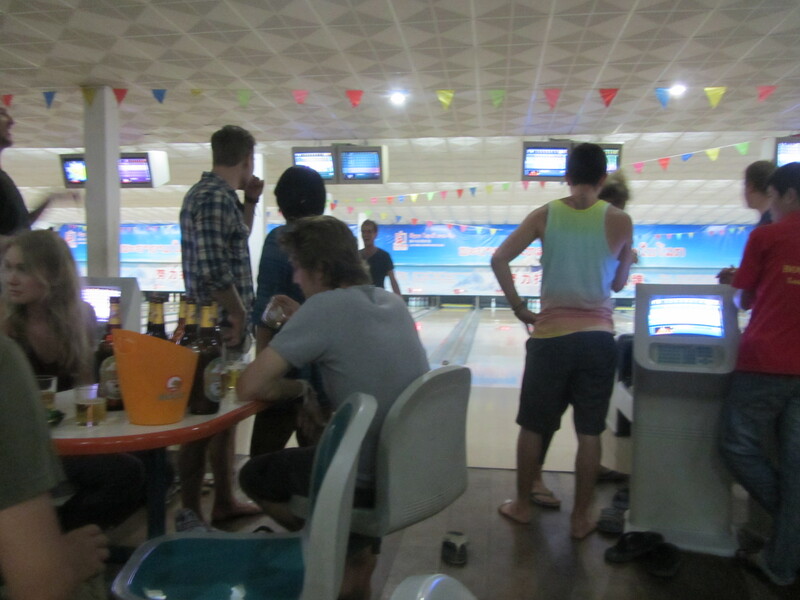 Going bowling at 1am because the bowling alley is the only place open that will sell beer? 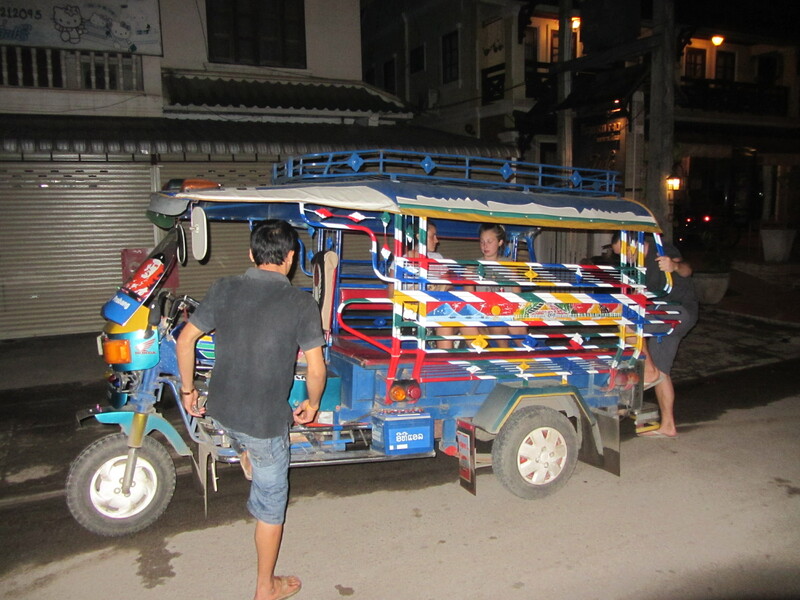 Must be in Luang Prabang! We went almost every night. The single greatest market in all of S.E. Asia. 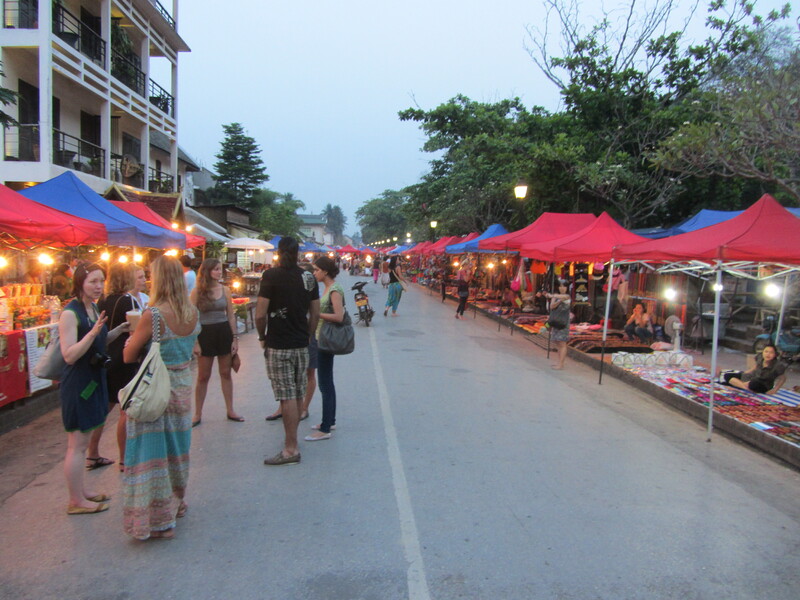 Big, with hundreds of stalls selling paintings, clothes, drinks, carvings; anything you can think of. What put it ahead of the others in the region wasn’t just the variety or low price though, it was the incredibly relaxed air about it. Walking down the street, you weren’t hassled or pressured to buy anything, and the stall holders were happy to let you browse and not buy anything. A rare pleasure in Asia. 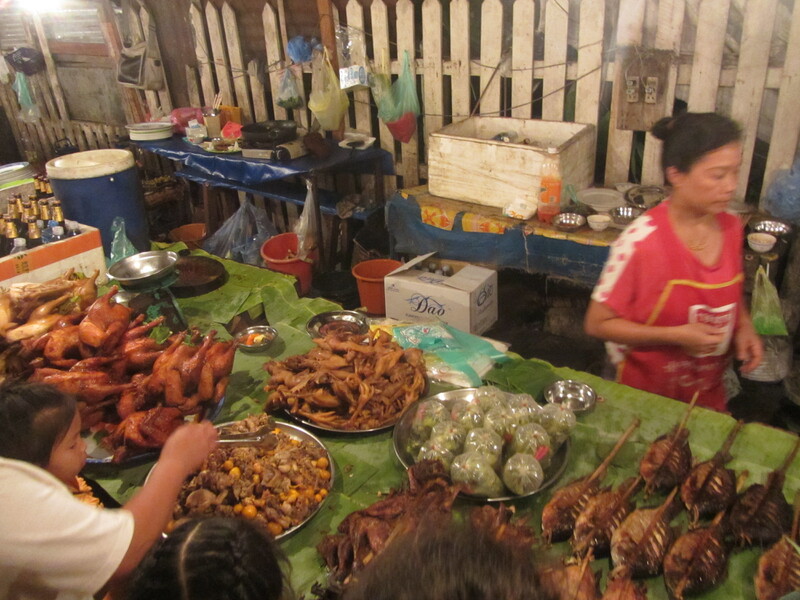 Down an alleyway off the Luang Prabang night market. Delicious foods for next to nothing. 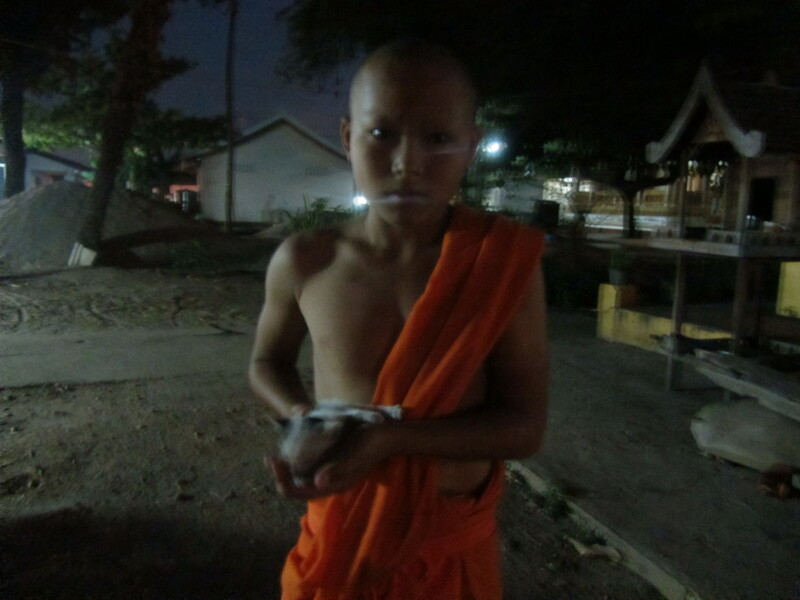 A kid I got chatting to in the grounds of a temple in Vientiene, and a tiny kitten he found. The main means of public transport around the city streets. Quite a bit bigger and sturdier than those in Thailand. 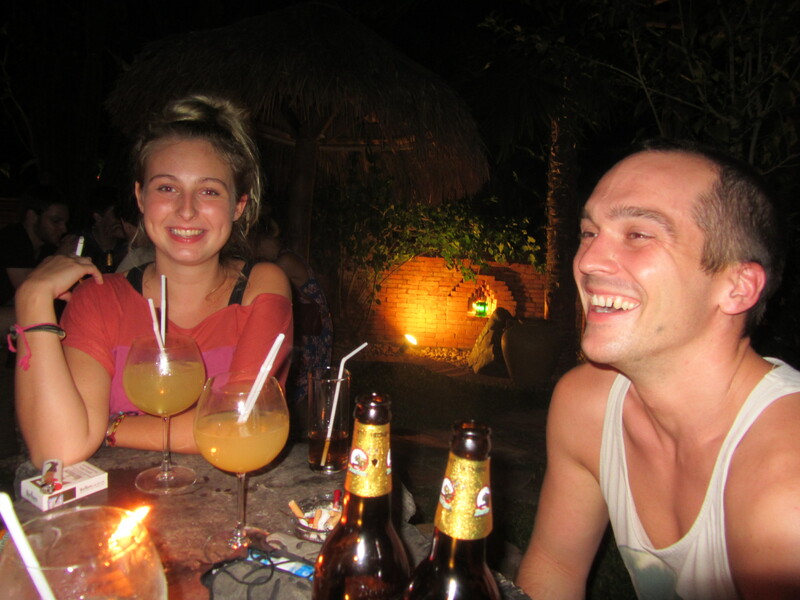 Drinking beers and ‘Yellow Fevers’ with friends in Utopia, the coolest bar in Luang Prabang. Those cocktails were lethal- half a liter of mostly alcohol. Delicious though. 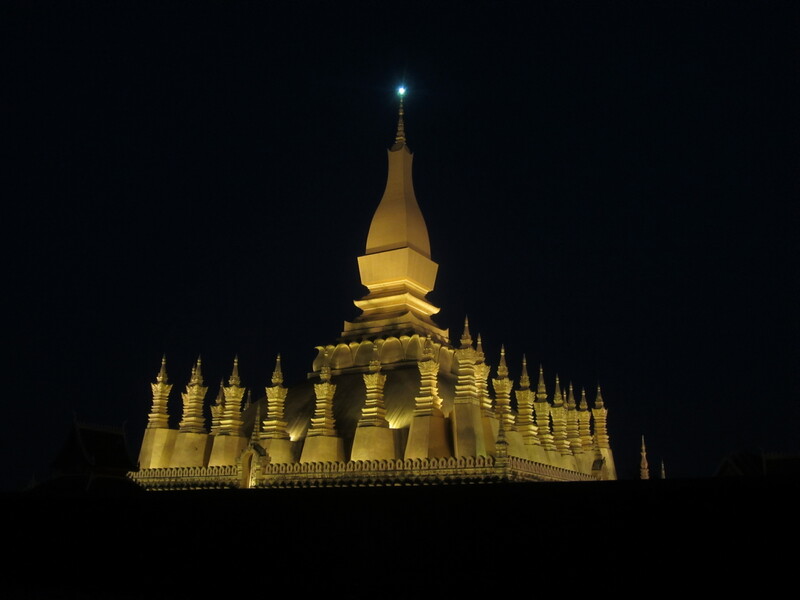 The national symbol of Laos, beautifully lit up at night. Two photos here, but they were taken seconds apart so I don’t feel too bad about cheating and including both. 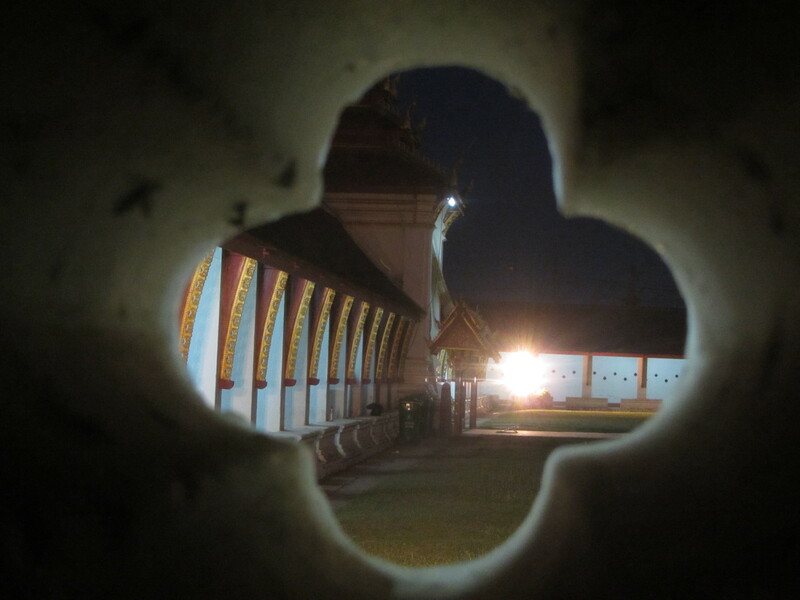 This was taken looking through the locked courtyard of Wat Chedi Luang in Vientiene. 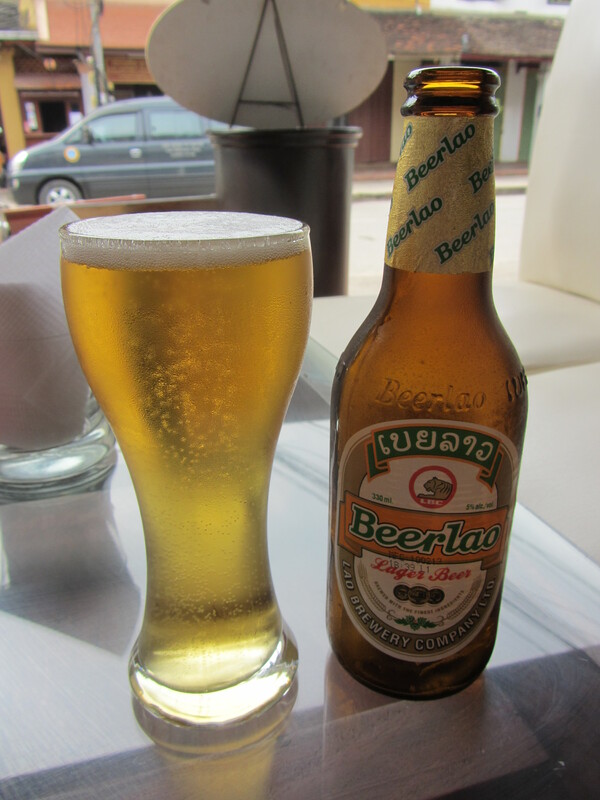 It is no exaggeration to say that Beerlao is the best beer in all of Asia. Almost never found outside the Laotian borders, it’s better than the Singaporean Tiger, better than the Philippine San Miguel, and way way better than the Thai Chang. Knowing Beerlao’s reputation, the first thing I did after crossing the border was to buy one. I was convinced from the first sip, and made the most of it while I was there. 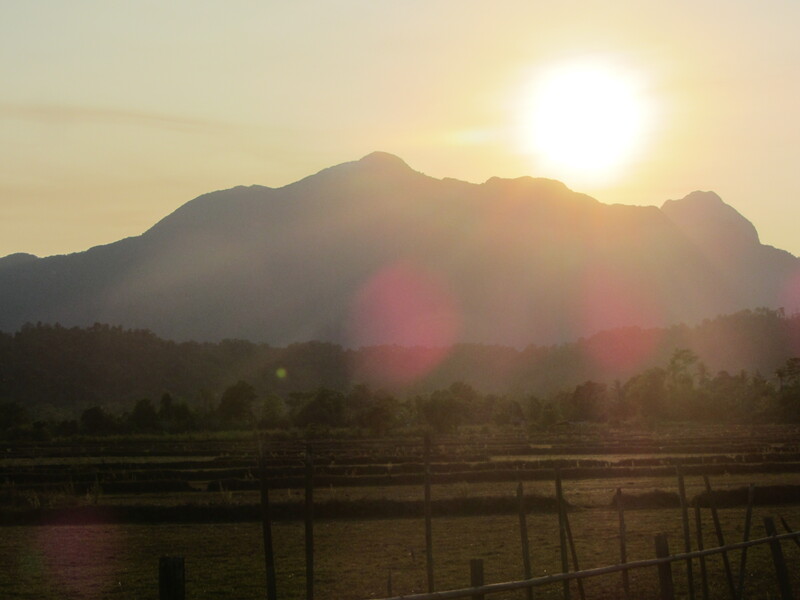 The fuel for most evenings in Laos. 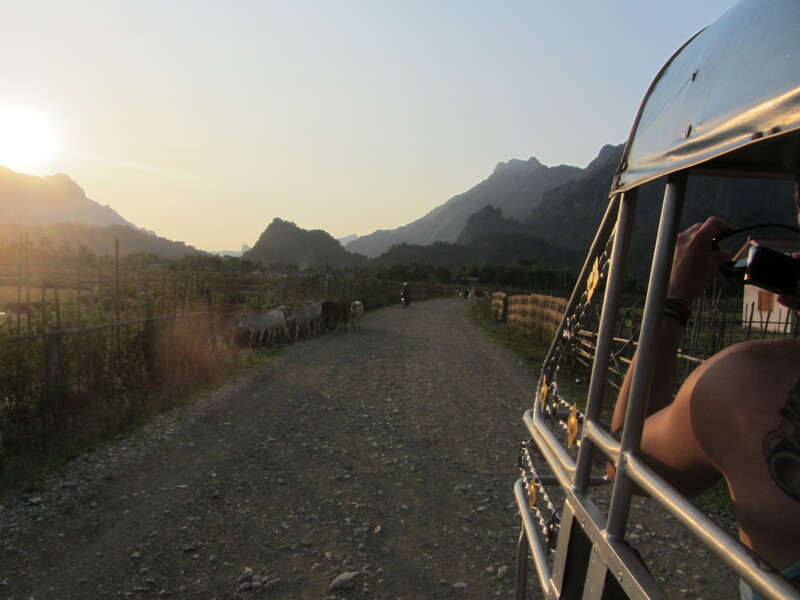 This entry was posted in Laos, top10 and tagged Beerlao, bowling, Cave, cocktails, drinking, Laos, mountains, Photos, top10, tuk tuk. Bookmark the permalink.